1. The Hunt: Stone Farm salvages thin brick from various mills found throughout the New England region. The color palette of these bricks is near perfect with tones ranging from the standard ‘clay-red’, ‘white tones’ resulting from ‘Lyme Mortar’ used during that time period, and ‘darker pieces’ from both fire damage and natural weathering. 2. 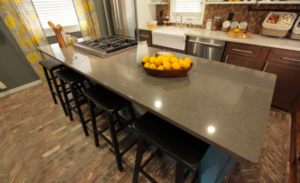 Endless possibilities: Thin Brick Floor Tile, has many uses that include kitchens, mud rooms, recreation rooms, wine cellars, baths, outside veneer and more! 3. On Trend: Thin Brick Veneer has become extremely popular in commercial installations including restaurants, bars, wine shops, coffee shops and art studios. Click the above link to read our recent blog detailing the highlights of our Thin Brick featured in Starbucks, in New Orleans. 4. Easability: The light weight of our thin brick tile can help you add this cool design element to enhance many varied types of projects. 5. Warmth: Instant warmth is infused into any space simply by applying brick tile. 6. Flexibility in Application: Interior Brick Veneer is not a structural brick, so it can be directly adhered to a prepared drywall or plywood substrate. 7. Versatility: Thin Brick Veneer works well in both modern and traditional interiors, blending seamlessly with both styles. 8. Easy Enhancements: The look of Brick Tile can be changed by the use of a simple sponge application of water based brick sealer. 9. Industrial Chic : When trying to create a back drop to a space that needs an industrial feel, authentic turn of the century brick is a great option. 10. 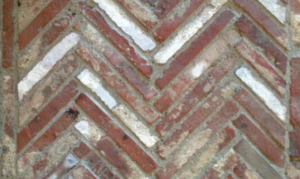 Cool Pricing- Stone Farm’s reclaimed thin brick is a great value. You can’t beat the price…this is an authentic antique product line! 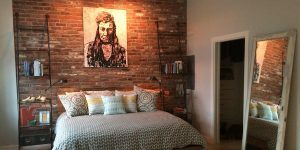 Reclaimed Thin Brick absolutely transforms this space–one simple accent wall! Let your creativity run wild with brick! 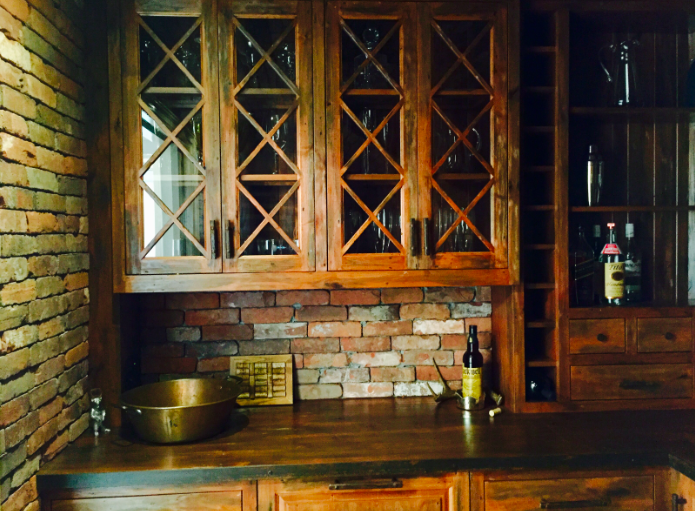 We’d love to hear from you and talk about the endless possibilities of using Interior Brick Veneer.